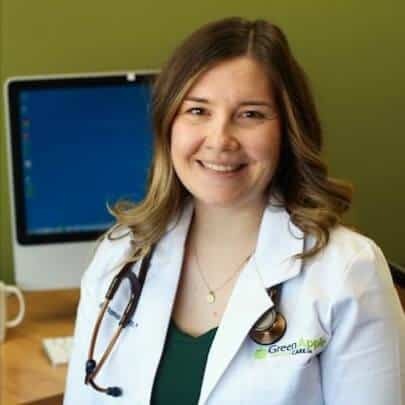 Dr. Briana Lutz is a naturopathic doctor who doesn’t believe that anyone should have to accept ill health or pain as being “just the way it is”. A comment frequently heard by Dr. Lutz from her patients is “I didn’t know I could feel this good”.Dr. Lutz, a native of rural Alberta, attended the Boucher Institute of Naturopathic Medicine where, after four years of intensive study and clinical experience, she earned her doctorate in naturopathic medicine. Driven by a passion for helping her patients enjoy better health, resilience and vitality she creates patient programs with uncomplicated, realistic solutions, solutions that address the cause of the pain, illness, or discomfort. Her programs are designed to fit the patient’s lifestyle, to be something they can actually do. She works with her patients to harness the body’s self-healing capabilities through natural treatment for lasting, sustainable improvement. She delivers naturally focused medical care with an emphasis on the treatment areas of women’s health issues such as fertility and preparation for healthy pregnancy and delivery, healthy skin, and increased energy and productivity. Dr. Lutz has an in-depth understanding of therapeutic nutrition, acupuncture, and botanical medicine and is always happy to share her wealth of knowledge of the body’s remarkable healing power with you so that you can get the very best that a healthy life has to offer. Her greatest pleasure is helping a patient get well, seeing a patient who no longer has their attention constantly drawn to their health concerns but who is instead able to experience joy in life and focus on the things that matter to them. She wants to help you too.